After all the dose of festival feast , its time to seattle down to a simple soup.A bunch of vegetables slowly cooked in a broth is perfect to slurp in a cold misty night.I made it with no oil and no sodium broth.Its healthy and perfect substitute for any simple dinner.Please consider it as wholesome meal. 4.If the soup is too thick,add the pasta cooked water. Enjoy the soup with a favorite slice of bread if needed! 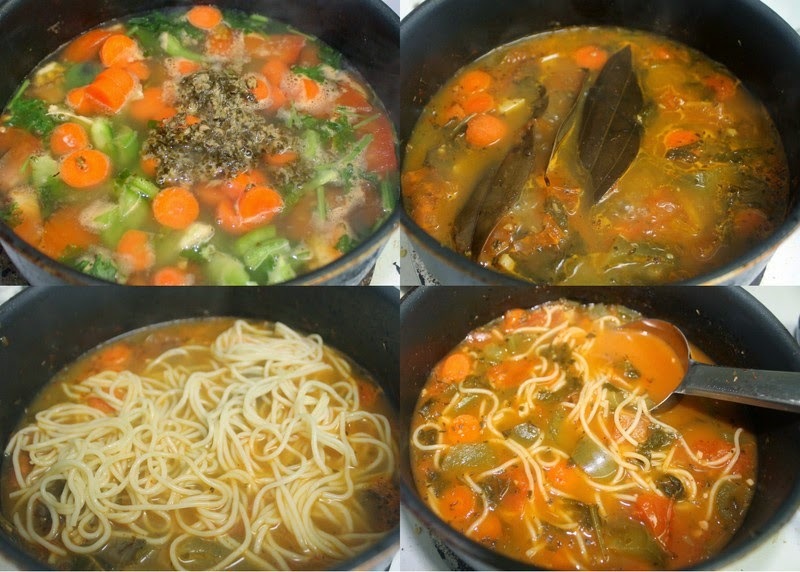 Super comfort healthy, yummy soup. Love the addition of pasta.